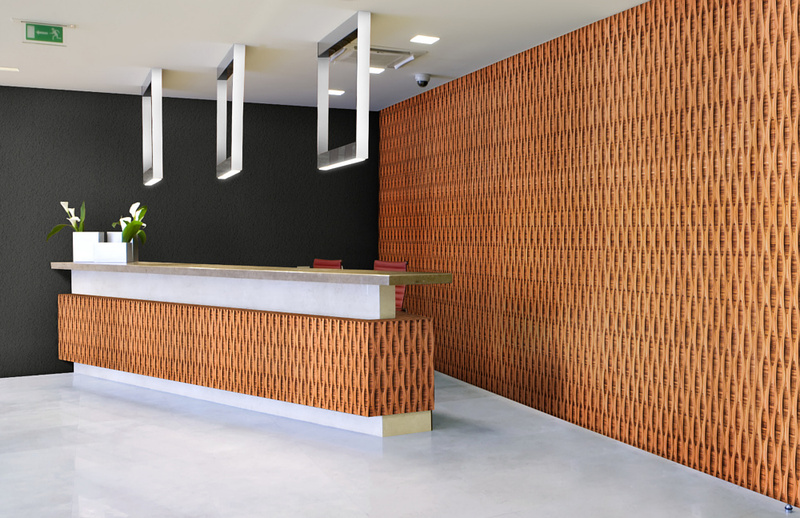 The Reveal™ collection is a series of carved and textured bamboo panels, manufactured by Plyboo. When carved, an interplay between the face layer and revealed inner core creates a stunning visual effect. 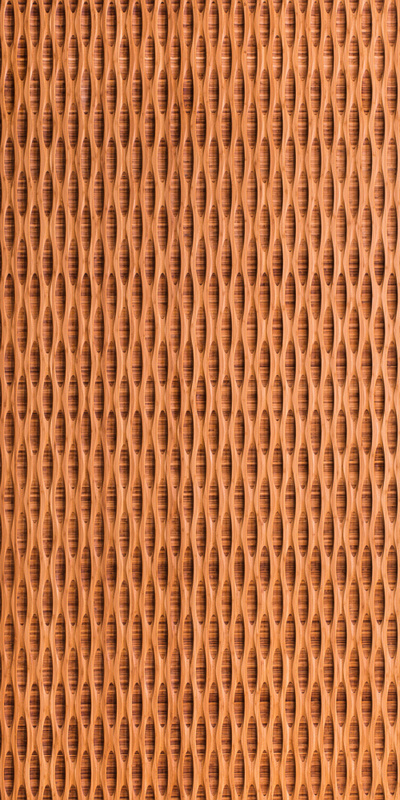 Plyboo’s proprietary RealCore™ technology insures the revealed cores are consistent and that layers of bamboo material in bi-directional construction allow for stability. This artistic collection is available in 8 different patterns and color options. Reveal can help to contribute towards 3 LEED credits. It is made from 100% FSC certified Bamboo which is also rapidly renewable and free of Urea Formaldehyde. Sheet sizes are 4’x8′ X 3/4″ thick and available pre finished or unfinished. FSC® C012079 The material in this product comes from well-managed forests, independently certified in accordance with the rules of the Forest Stewardship Council™. 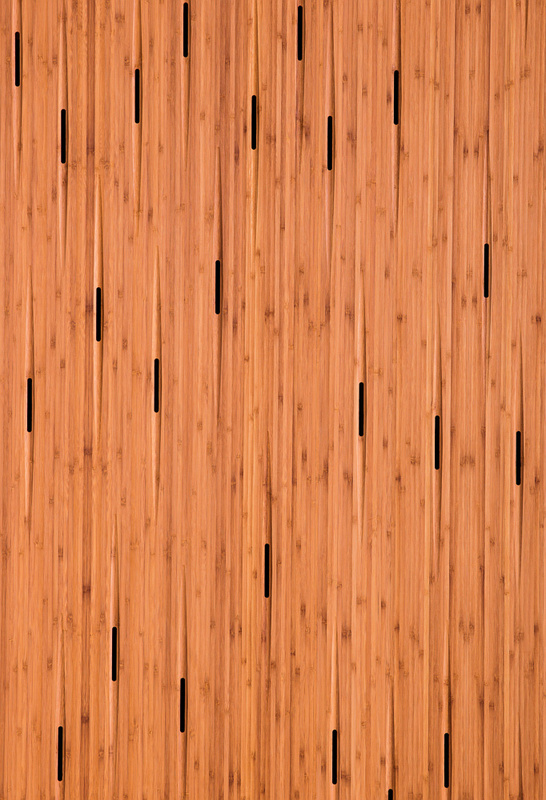 The PlybooSound panel brings together the elegance of our bamboo architectural designs with proprietary sound dampening QuietWall™ technology to help reduce ambient noise. Great for hospitality, public venues and large open work spaces. Plyboo’s proprietary RealCore™ technology insures that exposed cores are consistent and our bi-directional construction allows for maximum stability. Quiet never looked better! Available in 8 different patterns and colors. PlybooSound can help to contribute towards 3 LEED credits. It is made from 100% FSC certified Bamboo which is also rapidly renewable and free of Urea Formaldehyde. Sheet sizes are 4’x8′ X 3/4″ thick and available pre-finished or unfinished. Linear Line Inspired by the depth and movement of hand loomed fabric. textile that is both curious and compelling. 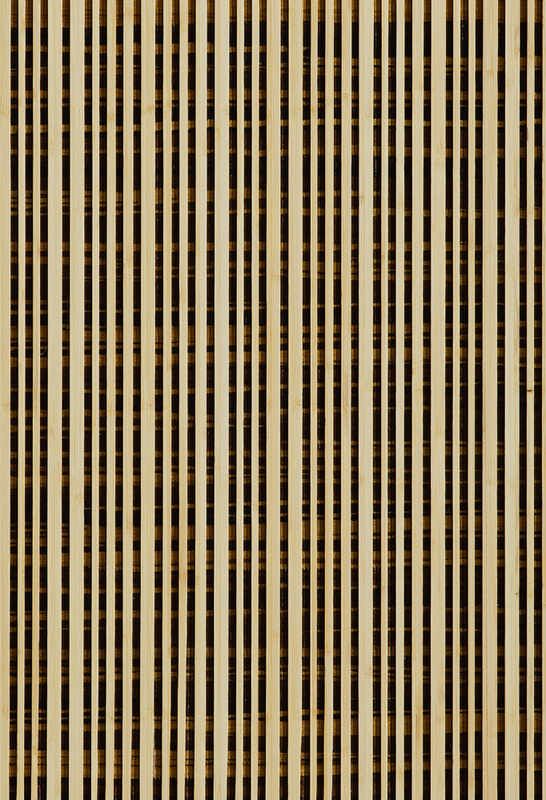 The Linear Line collection is suitable for any interior feature, and is available in 6 architecturally inspired styles each utilizing RealCore™ Technology in varied compositions. The Linear Line Collection can help to contribute towards 3 LEED credits. It is made from 100% FSC certified Bamboo which is also rapidly renewable and free of Urea Formaldehyde. Sheet sizes are 4’x8′ X 3/4″ thick and available pre finished or unfinished.